I wish that stupid plug wasn't showing. Rob and I recently purchased chairs for our “library” (it’s really the back half of our hall). 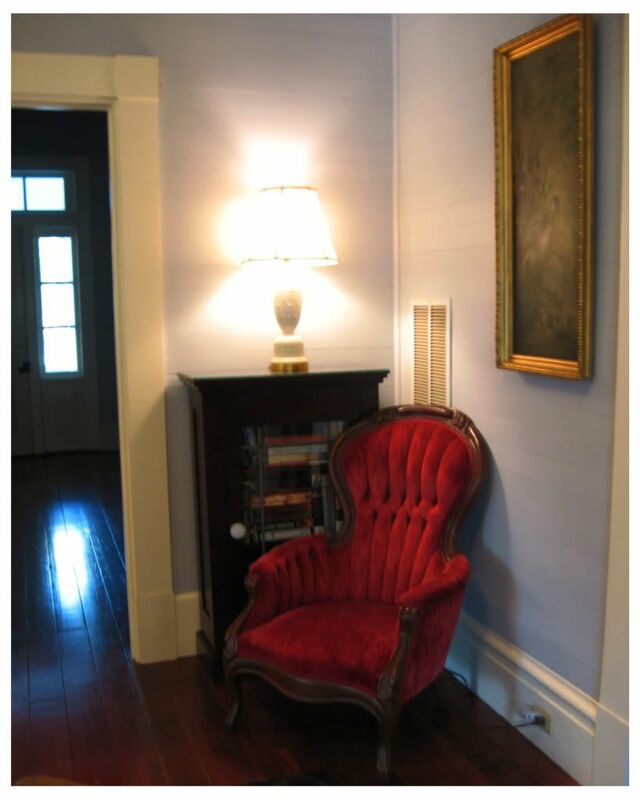 They are quite flamboyant—red velvet “his and hers” chairs from Killearn Antiques in Tallahassee. Jammer, our 21-pound diabetic tuxedo cat, enjoys sitting on the masculine chair and snoring in a very soothing, cozy way. Softee, our gentlest, most retiring cat (she looks like a very small Holstein), is always sharpening her claws on the feminine chair and getting in trouble. I hope these new chairs can survive in an 11-cat household. Obviously, this room still has a long way to go. 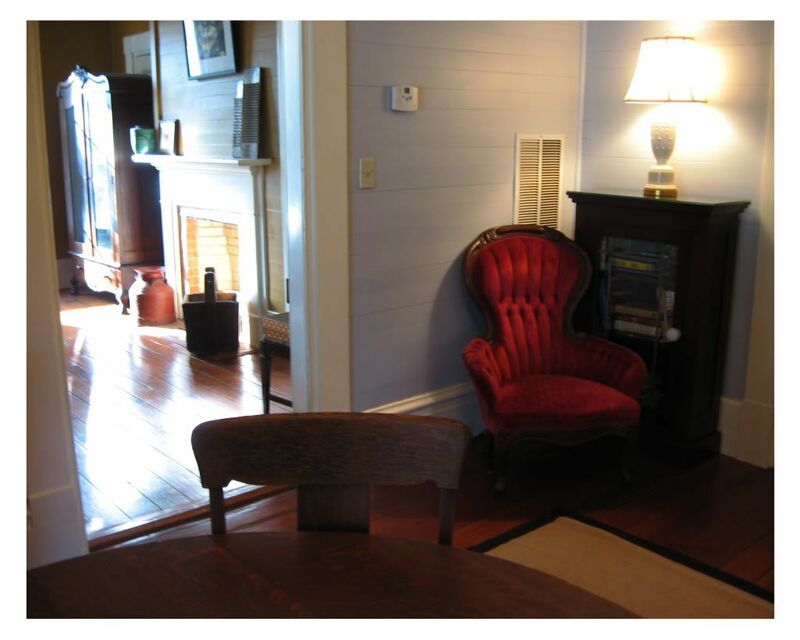 We need some little tables to put next to the chairs, and pictures for the walls. . . . But it's a start, I guess. i love the new chairs! they look really pretty with the wall color. i knew i'd seen them at a store. my cats love my velvet chair.